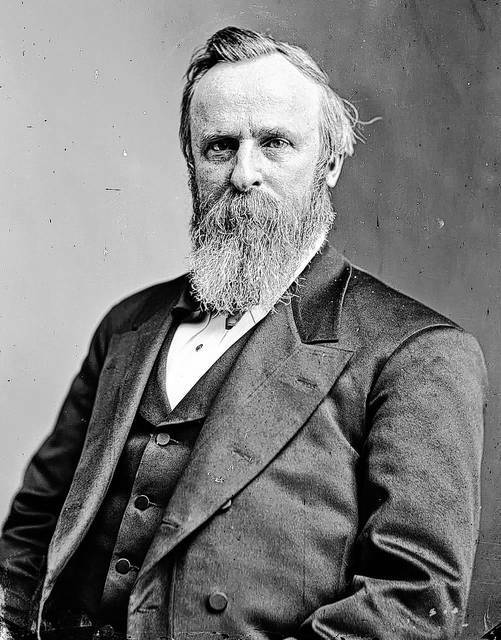 The Delaware County Historical Society will celebrate President Rutherford B. Hayes’ birthday on Tuesday, Oct. 3 during a program presented by author and historian Eric Ebinger. The program will begin at 7 p.m. at The Barn at Stratford, 2690 Stratford Road. The Delaware County Historical Society has two events on the program calendar in October. These are the last two programs for 2017, except for the annual meeting on Nov. 8. The 2018 schedule is under development and will be finalized for publication soon. It is free and open to the public and will begin at 7 p.m. at The Barn at Stratford, 2690 Stratford Road. The Meeker Homestead Museum will be open for tours before the program, beginning at 6:30 p.m. This program is sponsored by Hilborn Insurance. On Sunday, Oct. 8, history will come alive in the Oak Grove Cemetery, 334 S. Sandusky St., as actors portray prominent Delawareans who are buried there, including Gov. Frank Willis, Dr. Hiram Perkins, and 10 others. Guided tours, lasting approximately 90 minutes, will take visitors through the cemetery. First tour starts at 2 p.m. Last tour starts at 3:30 p.m. Parking will be available at the cemetery, however, there is no handicapped accessibility and the tour will involve extensive walking over uneven ground. Tickets cost $15 for adults, $10 for society members, $8 for children ages 6 to 15. Registration can be completed online at Eventbrite.com (enter “Oak Grove” in the search tool) or mail a check with your name, address, phone number, and “Oak Grove” on the memo line, to DCHS, 2690 Stratford Road, Delaware, OH 43015. In case of rain, participants will be notified by 1 p.m. that the walk has been postponed by one week and will be held on Sunday, Oct. 15. For information, email Programs@DelawareOhioHistory.org or call 740-369-3831, ext. 3.